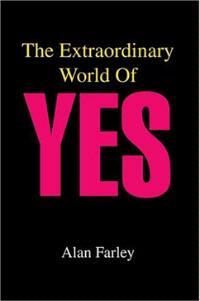 On the one hand you have to ask, "do we really need another book about Yes?" Still, one of the charms/downsides to books is that they represent a static point in time. Therefore with a band that is as vital as Yes, they quickly become outdated. So, this is definitely the only of the many books about the group that is essentially up to date. That said, much of the material here isn't new - much of this story being told time and time again in the previous books on the group. Still, Farley does have a fresh take on some of the items, and I found much of his analysis to be interesting, even if I didn't agree with all of it. I also learned a few things that I had never heard before about the band and was reminded of things that I had forgotten. 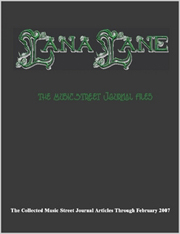 In that aspect this book would serve as a great introduction to Yes' history for the uninitiated. For the Yes fanatics like myself, it's pretty much a foregone conclusion that this is a "must have." The book is not without its downsides, though. For one thing, Farley comes across as Yes' biggest cheerleader ever. As I said, I'm a huge fan, but the author, rather than taking a journalistic non-biased approach gushes about them at all points. While it really generates a lot of enthusiasm in the reader, it also isn't always totally accurate. Still, this exuberance does really make for an interesting, if not totally precise read. Also, I find that the section in the end (albeit a short one) regarding Yes backstage and going into details about the tours (which really were covered quite well in the main segments of the book) border on unreadable. Also, Farley makes a point early on to break down Yes fans in terms of demographics, and I just think that statistics like that, while provable, are pretty unimportant to the story of Yes. The long and short of it, this is a good book on the band. For those who have never read a book about Yes, or would like to be caught up on their history in the new millennium, it is an invaluable resource. It is well written, if a bit too much of a cheerleading exercise. There are short segments you might find yourself skipping over, but the bulk of the book - the stories of the history of the group and the album by album analysis and chronicling - are engrossing and very strong. I would also have liked to have seen some photos of the band in the book, but it's definitely worth having just the way it is. And, on a personal note, I have to admit to enjoying being cited as a source three times in the book. A note about the photographs, though, according to Farley "approximately seventy photographs of YES are available online at the website for the book at http://www.farley.ozefamily.com."